Brunei Darussalam litereally means Brunei, the abode of peace. Indeed, Brunei is one of the most peaceful countries around the world with the lowest crime rates. Brunei is divided into four districts namely Belait, Temburong, Tutong and Brunei Muara. Despite Brunei Muara being the smallest district, the capital Bandar Seri Begawan is located here. Although Brunei is a small country with an area of just 5,765 sq km, yet it is one of the richest countries in the world. Thanks to the underground riches of the natural resources discovered back in 1929. Since then, oil and gas has been the main inflows to the country, and providing exclusive welfare where no other countries have afford such as free education, free health care, no income taxation and tax-free house loan for civil servants. The country is ruled by the Sultan, 29th in succession to throne and governed under the philosophy of Melayu Islam Beraja (Malay Islamic Monarchy or MIB) has been in existence as early as the 14th century when the Sultan at that time converted to Islam. Since then, MIB has become the nation’s system of ruling, its way of life and form of Government until today. Brunei is situated on the north-west coast of the island of borneo where historical findings suggest that the brunei kingdom began more than 1,500 years ago, pre-dating islam. 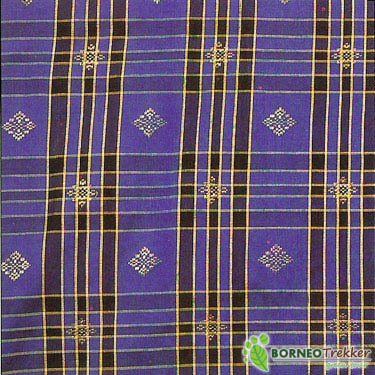 its earliest existence was believed to be a tribuatary province of the jave-based majapahit empire. after the disintegration of the majapahit empire, brunei rulers took charge of their own territorial responsibility. Ancient Chinese texts refereed Brunei to as either Puni or Puli and documented interactions with the Chinese Empire in the years 518, 523, 616, 669, 977, 1279 and 1369 – 1643 AD. Imperial Chinese texts also indicated that Muslim influence was established in Brunei as early as 977 AD, and the employment of Arabic characters in Brunei’s written language, hitherto Sanskrit, started before 1370. imperial Chinese texts noted that Brunei’s King named Awang Alak Betatar embraced Islamic faith in 1371 in conjunction with his marriage to a princess from a neighbouring kingdom. The Chinese people who came to Brunei in 1370 said that Brunei was ruled by an islamic ruler known as Ma-ha-mo-sha or Sultan Muhammad Shah. Consequently, Sultan Muhammad Shah is the Islamic name of Awang Alak Betatar. As a territory administered by a Muslim government, subsequent Brunei sovereigns became known as sultans. Brunei Darussalam, or ‘The Abode of Peace’, certainly lives up to its name as its tranquility is ever apparent, even to the most casual visitor. Brunei Darussalam has 161km of pristine coastline, adorned with a number of palm-lined beaches and blue waters, in addition to the vast tracts of virgin, uninhabited rainforest found mostly in the Temburong district – the ‘Green Jewel’ of Brunei. 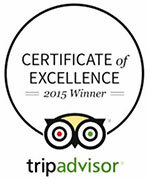 Priding itself in its unspoilt, pristine jungles, Brunei has been dubbed Asia’s best kept secret. 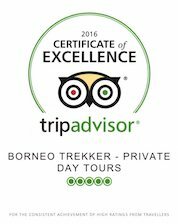 With the abundance of nature, ecotourism is one of the main attractions of Brunei Darussalam. As a haven for nature lovers and adventurers, the sultanate is being promoted as a family-friendly tourist destination. Must-visit tourist attractions tend to be more nature-inclined with lakes, forested hills and seashores being the predominant features. Tasek Lama, one of the oldest recreational parks in the country, is a popular exercise spot for joggers and walkers. Situated in the midst of the capital city, the park has a trail that leads to a natural waterfall and lake, as well as an 8-metre wall for avid rock climbers. The park, with its serene tranquility, is a haven for jungle trekking enthusiasts, adventurers or those simply wanting to take a relaxing stroll amidst peaceful surroundings. 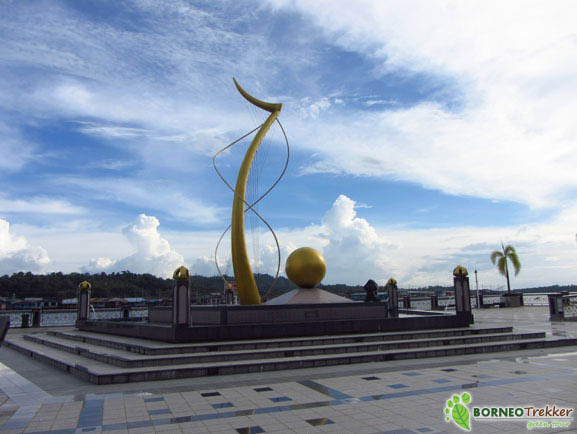 Another landmark in the capital is the recently revamped Bandar Seri Begawan Waterfront, which is a strategic spot to enjoy the panoramic view of Brunei’s heritage site, the Kampong Ayer water village. The historical Royal Customs and Excise Port was transformed into a waterfront on the 1.8 hectare area as a tourist spot. The site features eateries, allowing visitors to sip a refreshing beverage while enjoying the breathtaking foreground of the water village. 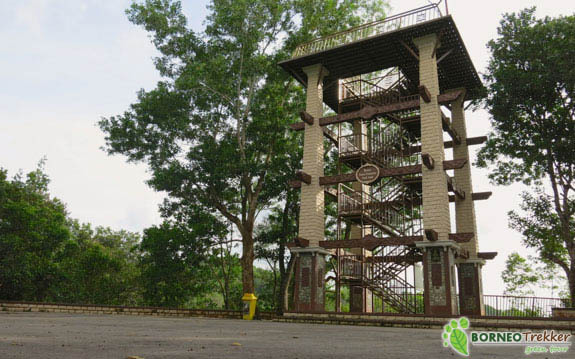 Another popular recreational park among joggers, hikers and cyclists alike is the Bukit Shahbandar Recreational Park at the Jalan Tutong area. The park offers nature forest trails that wind their way around the park, and is renowned for its challenging hills which provide an exce3llent chance for a great workout. At the highest point, the wooden observation tower gives a bird’s eye view of the whole terrain. The park is also an ideal spot for family picnics. 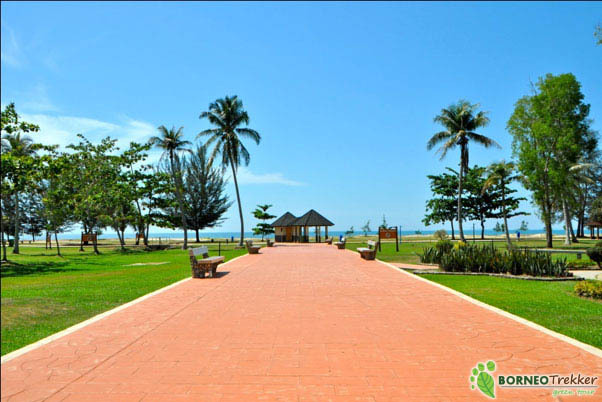 Muara Beach, located close to the capital, is an ideal family gateway. Facilities such as playgrounds for children, food outlets and changing rooms for use after a refreshing dip in the ocean make this a perfect spot for relaxation during the weekend. Visitors can enjoy the scenic view and waters of the South China Sea from here. Similarly, just a stone’s throw away from Muara is Serasa Beach, which is a popular destination for water sports e3nthusiasts. The beach is home to the Serasa Watersports complex, which provides amenities for various water sports such as windsurfing, jet skiing, power boat racing, kayaking, water skiing, regatta sailing, along with training in water sports. Pantai Seri Kenangan is just a five-minute drive from Tutong town. The recre3ational area has become a popular destination for weekend picnickers and swimmers. Equipped with playgrounds, food kiosks, barbecue facilities and changing rooms, it is ideal for family outings and picnics. 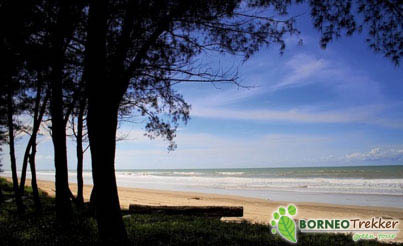 The natural beauty of the beach is enhanced by an intervening strip of land with the Tutong River on one side and the South China Sea on the other. One of Tutong’s best attractions is Tasek Merimbun. With a quaint little island in the middle of it, it is Brunei’s largest lake. The park aims to be a haven for protected wildlife, flora and fauna, and serves as a base for scientific research and study. The park has jungle tracks, making it perfect for birdwatchers, botanists and nature lovers. It is also a popular picnic spot, featuring a sigmoidal blackwater lake surrounded by swamps and sedges. The Sungai Liang Forestry Recreation Park is the first of two forestry recreational parks in the district, and is found on the way to Labi. The park covers about 14 hectares of largely undisturbed forest, and has facilities for general recreational activities, including hiking. There asre also sheltered platforms for visitors to enjoy the surrounding views. A challenging 45-minute uphill jungle trek takes you to a beautiful waterfall. A popular picnic area, tourists can enjoy a jungle trek along the way to this hidden gem. 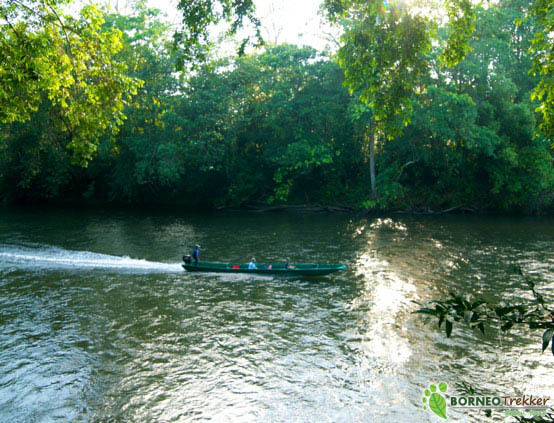 Temburong District is rich in unspoilt natural heritage sites, including the Ulu Temburong National Park, which is accessible only by boat. 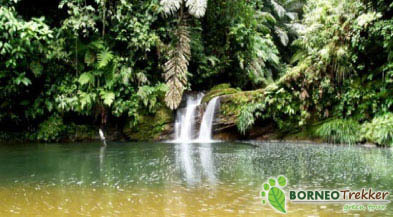 The national park which occupies 40 percent of the district is regarded as the best preserved tropical rainforest on Borneo. There are marked trails to help you with your trek, including elevated wooden walkways. For a breathtaking view, go for a canopy walk, which gives an aerial perspective of the rainforest. One of the main attractions of the park is the infrastructure of modern civilization – the Ulu Ulu Resort is located in the middle of the vast Ulu Temburong National Park Rainforest, on the banks of the Temburong River and the Belalong River. The park is situated within the Peradayan Forest Reserve area which has been declared as a conservational rainforest by the Forestry Department. The peradayan Forest Reserve includes the twin hills of Bukit Peradayan and Bukit Patoi, which stand respectively at 10m and 310m above sea level. The area has a unique geological character with some unusual caves and rock formations. One may also encounter wildlife such as kijang (deer). The rocky summit of Bukit Patoi has an open patch of flat stone which acts as a view-point and helipad. 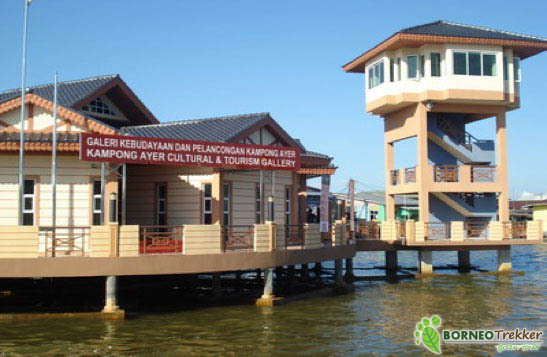 Opened in 2009, the Kampong Ayer Tourism and Cultural Gallery showcases the history of Kampong Ayer from as far back as the 10th century. There are five galleries in the building featuring different phases of village life and interesting artifacts, arts and crafts. Located up the hill of Kota Batu is the Brunei Museum which houses a collection of archaeological artifacts; natural history subjects; Brunei Malay cultural exhibits; centuries-old Chinese porcelain, ceramics and jade (discovered during the course of an offshore pipeline survey); as well as Islamic artifacts and exhibits on the development and discovery of oil. First established in 1965, the building has occupied this site at Jalan Kota Batu, located about 6.58km from the capital, since 1970. Also located at Jalan Kota Batu, the Malay Technology Museum displays the traditional technologies of theh Kampong Ayer water village, its people as well as the traditional technologies of the inland people from the late 19th to mid 20th century. Displaying three dimensional mock-ups of boat-making, house-building metalworking and gold-smithing, the exhibits serve to provide an insight into the past lifestyle of the Brunei Malays. 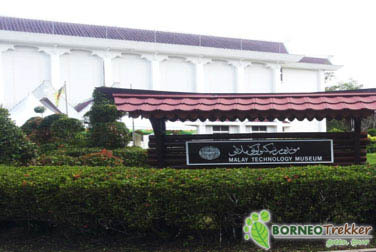 The museum was donated by the Royal Dutch/Shell Group of Companies in conjunction with Brunei’s independence in 1984. The museum was officially opened in February of 1988. Built to commemorate the 1992 Silver Jubilee if His Majesty’s ascension to the throne, this ornate building with a distinctively glided dome holds a veritable collection of precious ceremonial regalia. Priceless collections such as jewel-encrusted crowns, a royal chariot, gold and silver armoury, a replica throne, and gifts that His Majesty has received over the years, as well as a full documentation of the history of the Constitution of Brunei Darussalam are all exhibited here. The building, located at Jalan Sultan, is open to the public every day of the week, although opening hours are shorter on Fridays. Visitors are advised to remove their shoes prior to entering the building. Established in 1982, this centre, located just beside the Royal Regalia Museum holds documents of Brunei’s historical events in addition to the full genealogy and origins of the Sultans of Brunei and the Royal Family. This is quaint piece of British architecture – once the home of the Britisih Resident when the Brtish Residential System was introduced in Brunei in 1906 – has exhibits that examine the long relationship between Brunei and the United Kingdom since the 18th century. Between 1905 and 1906, an agreement was signed between the two countries for the establishment of a British Resident in Brunei, the stabilizing factoer in this country at a time when Brunei was vulnerable. In 1906, Malcolm McArthur became the first British Resident. Today, the building shows historical photographs of the lives of those involved in the state politically, economically and socially. Regarded as on e fo the oldest surviving buildings in Brunei, the House of Twelve Roofs is situated along Jalan Residency. 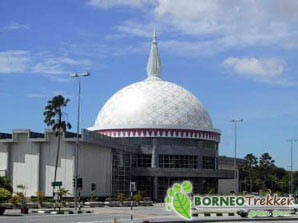 The Brunei Maritime Museum is the latest museum that was openend in 2010. It has three viewing galleries which will be filled with various maritime artefacts, including different types of ships used in Brunei, shopwrecks, relics, as well as a chronological history of Brunei maritime and nautical background. The museum is located at the refurbished Waterfront in Bandar Seri Begawan. The main reason for establishing this centre was for the learning, preservation and display of various types of traditional arts and handicrafts, especially jong sarat, hand-woven clothes, silverware, hand-woven baskets, brassware, and woodcarving. The centre also offers courses for those who are keen to learn and create traditional products. The centre is located alongside the Brunei Riverbank at Jalan Residency in Bandar Seri Begawan.